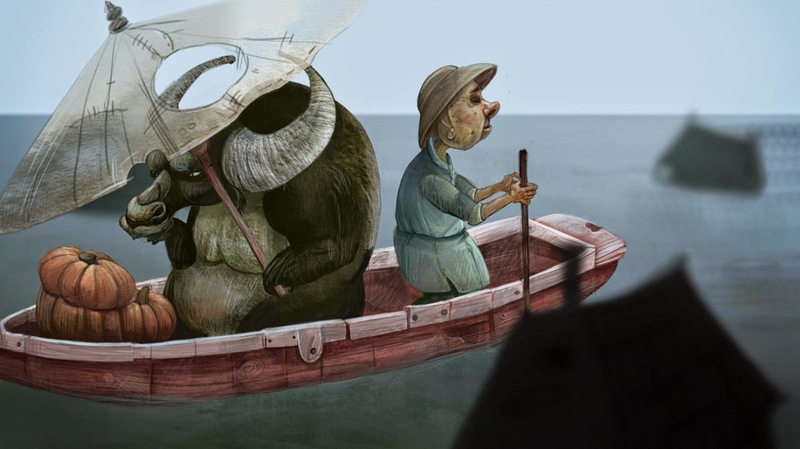 The winners of the IFAD-Arts University Bournemouth (AUB) Animation Prize are sisters, Olga and Irina Ertahanova from Ulan-Ude in the Russian Federation. The competition asked students on the undergraduate animation course to capture the essence of IFAD’s Adaptation for Smallholder Agriculture Programme (ASAP). ASAP was launched by IFAD in 2012 to make climate and environmental finance work for smallholder farmers. A multi-year and multi-donor financing window, ASAP provides adaptation finance to scale up and integrate climate change adaptation across IFAD’s approximately US$1billion per year of new investments. The competition encouraged students to consider the impacts of climate change on the rural poor and how adaptation on small farms can overcome poverty and avoid crises. As the United Nations lead agency on agricultural development for smallholder farming, IFAD is actively looking to partner with learning and research institutions with records of excellence. The Arts University Bournemouth is a unique institution in the UK, offering high quality education in art, design and media across the creative industries. The University has been providing specialist education for over a century and enjoys a strong reputation, both nationally and internationally. The winning film was judged on the design content of the animation and quality of the idea. The narrative focused on the increasing risks to smallholders as ecosystems services become more volatile owing to climate change. The animation demonstrated the usefulness of adaptation techniques in managing these risks. "The fresh take of younger people on environment and sustainability issues bring invaluable insights, We have learnt a lot through this competition, especially about the power of animation to really bring home the problems faced by smallholders and solutions on offer to climate change impacts. Working with the AUB has been an exciting opportunity to collaborate with an establishment that is leading in its field,” says Elwyn Grainger-Jones, Director of the Environment and Climate Division at IFAD. Pete Symons, the University's Course Leader for BA (Hons) Animation Production, believes this is an interesting way of involving young people with the activities of IFAD. "Animation has the ability to put across complex and occasionally difficult messages that sometimes cannot be so effectively expressed in other media. As a university we felt this project brought a new dimension and challenge for our students and we feel that it is important for them to be involved in these pressing environmental issues. Being able to use animation, in a way that promotes IFAD’s extraordinary work with the world’s rural people is a great opportunity and we are proud to be involved."